Looking for affordable Waukesha movers? Located near Lake Michigan, just 20 miles west of Milwaukee, Waukesha is a charming place to call home as it is one of the fastest-growing cities in the Great Lakes area. The city is an ideal location for family friendly activities, it has loads of togetherness, and has a unique history. Waukesha boasts various home-grown shops and galleries. The city is famous for its amazing glacier-carved terrain that’s perfect for outdoor recreation. Waukesha offers numerous opportunities when it comes to outdoor activities. You can enjoy swimming at Big Muskego Lake, take a boat out for a day of fishing, water skiing and boat launching at Idle Isle or simply enjoy the walk at Bostrom Memorial Park. Brothers Moving & Storage has been the trusted Waukesha moving company for many years. Over the years, we have facilitated local, long distance, interstate, and commercial moves for our clients. We approach every move committed to quality. From a local short distance move to a full-service commercial relocation, we take a customized approach to satisfy the needs of our clients. 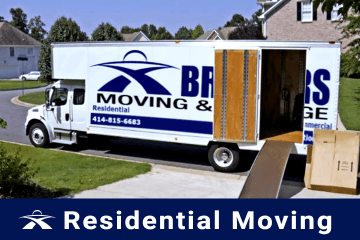 When you inquire our services for movers in Waukesha, Brothers Moving & Storage will send one of our expert moving coordinators to your place in order to survey your needs and requirements and give you an accurate estimate of the cost of your entire move. At Brothers Moving & Storage, our focus is to offer our clients cost-effective and high quality residential moving services. Whether you are moving from a small condo or flat, a six-bedroom house, or business, our experienced residential movers will make sure that your valued belongings get from one destination to another efficiently and safely. 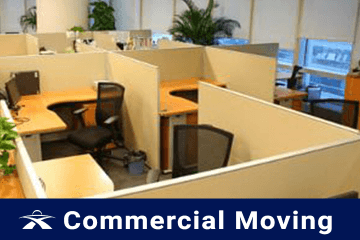 Our commercial moving services are productive and efficient. Our goal is to minimize downtime, streamline processes and reduce disruptions throughout your office move for a cost-containing relocation. As your commercial movers, we will meet your budgetary needs and customize our services to meet the exact requirements of your business. We perform office moves within the same building, locally, and nationwide. When it comes to our packing services, our extensive experience allows us to evaluate immediately what is required for your specific belongings and how to secure your fragile/delicate items for moving. We use high-quality moving boxes and supplies to make sure that your items remain undamaged throughout the move. Brothers Moving & Storage realizes that sometimes a move involves more than just moving items from one place to another. Sometimes you need a secure place to hold your valued household belongings as you prepare for your move or following your relocation. 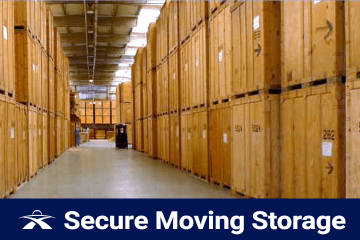 We offer secure, clean, climate controlled, and cost-effective moving storage services that can be easily customized to suit your specific requirements. In Waukesha, it is recommended to hire the services of Brothers Moving & Storage for a seamless and smooth moving experience. We are a smaller family owned moving company, so we can offer you more personal service at affordable rates. We offer no surprise fees for things like stairs, elevators or per piece moves, while at the same time protecting your floors, banisters and doors to help eliminate damage all at no additional fees. Waukesha movers for a great price. For a free no-strings attached moving quote on your local moving needs, contact Brothers Moving & Storage today. 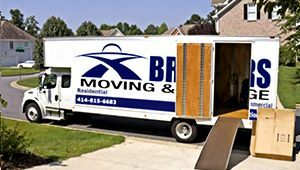 Brothers Moving and Storage has been providing great customer service along with quality moving services to anywhere in Waukesha and the surrounding areas. If you are interested in a free moving estimate, please contact us at (414) 815-6683. Fun Fact: The inventor of the solid-body electric guitar LesPaul was born and raised in Waukesha, WI. Waukesha Movers	Overall rating:	4.8	out of 5 based on 20	reviews.